We live in a digital world run by emails and text messages. Printing a custom greeting card can bring out a smile or any other emotion! Writing a unique, personalized message on our pearl card will be remembered for a long time. These elegant greeting cards offer pearl fibers, providing a subtle shimmer, unlike any other paper. Custom greeting cards can be printed as thank you notes or for any special occasion and so much more. The possibilities are endless. Select from a variety of options (scoring, slits, quantities) and dimensions to make your personalized greeting card one-of-a-kind. 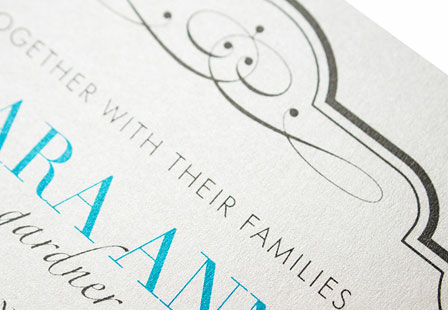 Paper: 14PT Pearl Metallic Card Stock. Printing: Digitally printed 4-color process printing (CMYK), single or double sided. Please Select 4.25" x 11" 5.5" x 8.5" 6" x 9" 6" x 12" 7" x 10" 8.5" x 11"